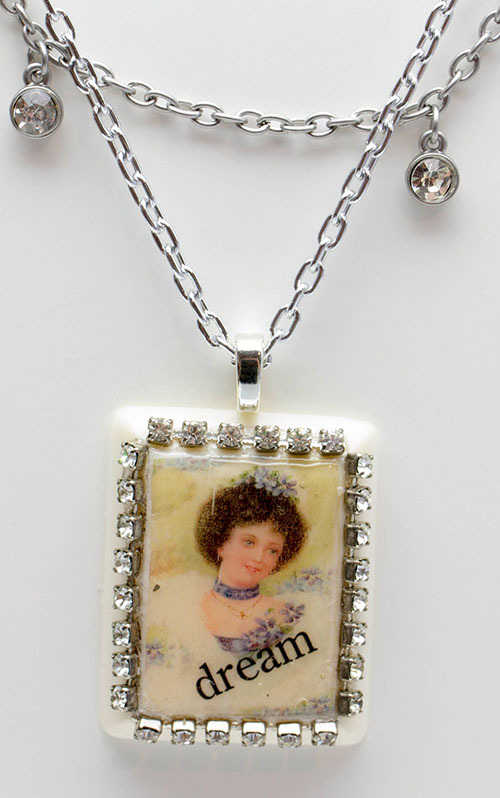 Cream colored resin pendant made with a romantic Lady with the word "Dream". Attached is a row of vintage rhinestones that originated from a vintage necklace. Attached to a double aluminum necklace with rhinestones and a silver plated lobster clasp. Photo of a lady with "Dream"
This resin pendant measures 2 inches long x 1 1/4 inches wide, comes gift boxed, and ships within 48 hours.